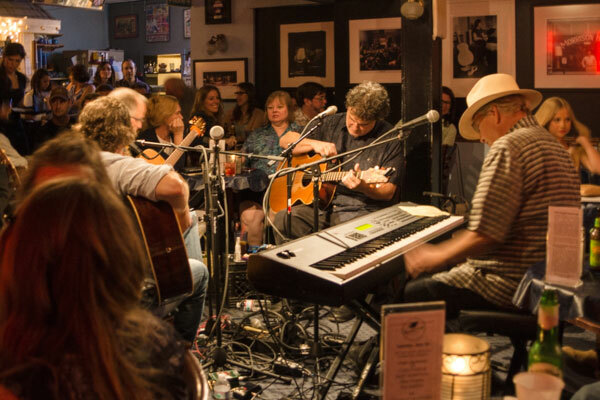 The Short 'n Suite of It ™...Bluebird Café "The Place to Play"
The Bluebird Café dubbed “The Place to Play” is one of the many music themed attractions that validate our City’s nickname “Music City USA”. After opening in 1982, The Bluebird Café became well known as a pivotal listening music club for the discovery of country music stars. Droves of people flock annually to the café because of the long lineage of country music personalities that have been discovered here. Garth Brooks, Taylor Swift, Keith Urban, Kathy Mattea, Trisha Yearwood, Kim Richey, Dierks Bentley, Faith Hill, Vince Gill, and so many more…all of whom give some if not all credit for their stardom to Nashville’s beloved Bluebird and from time to time are still seen appearing onstage. If you want to be discover, regardless of your music genre, this is the place to be. But strict rules apply. To be heard, and hopefully discovered, ALL writers are required to audition before being allowed to play on this famously small stage. But once you step onto this tiny round stage, who knows where your musical future might go! Music writers of all kinds dream for that magical moment when just the right listener’s ear gets tickled. On one such “Magical Bluebird Moment” was back in June of 1987. The next scheduled auditioned was for the one and only, yet at that time relatively unknown, country legend Garth Brooks. After passing his audition, Brooks was on to the next step and was booked for Writer's Night. Then his big lucky-break happened! Brooks found himself in the position of “fill-in” for a tardy songwriter who missed the gig. It was at this showcase event that a music scout, after hearing Brooks’ simple stage performance, signed him to Capitol Records the very next day! More recently, The Bluebird Café has been featured on ABC’s TV hit drama series ‘Nashville’ and due to this notoriety packs in visitors from around the world. When staying in one of our furnished Nashville accommodations, this is a “Must See” for country music lovers. But arrive early and be prepared to wait, because a late arrival drastically lowers your chance of getting in. So, don’t miss out! In our opinion, the sheer history of those who have passed through this iconic Café makes it “well worth the wait”!